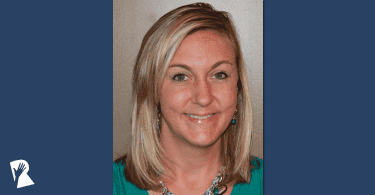 It’s the idea of connecting someone with their “dream job” for Tracey Parsons, the Vice President of the Recruitment Marketing Center for Excellence at SmashFly Technologies, that motivates her every morning. Like other Rally Recruitment Marketing Mentors, Tracey considers her career in Recruitment Marketing a calling. Fresh out of college, Tracey worked as a newspaper copy editor, but quickly realized, for her, it wasn’t the right professional path. Ultimately, it was her passion for storytelling and experience in marketing and advertising, from a journalistic standpoint, that drew her to Recruitment Marketing. “It felt like it was making a difference in the world. I think that’s what a lot of people are looking for out of a career. I found my calling a long time ago,” Tracey said. Tracey understands there is a lot of confusion surrounding the principles of Recruitment Marketing and how it relates to Employer Brand. In fact, she’s written up a blog post on the topic. As Tracey explains, while she doesn’t consider Recruitment Marketing and Employer Brand one in the same, they work well together. Employer Brand, Tracey says, is who you are as a company and what people say about your company when you’re not in the room. “Employer Brand is grounded in three things; the reality of our company, what it’s like to work here, what we aspire to be and the perceptions of the target audience. Where those three things intersect is where you really have the distillation of the brand,” Tracey continued. Recruitment Marketing, Tracey says, is how you “bring the Employer Brand to life.” This is done through all your Recruitment Marketing channels and content tactics. She also adds a third component to the mix — Recruitment Advertising — which is the advertising component of Recruitment Marketing. What is the greatest Recruitment Marketing roadblock for companies trying to adopt tactics? Tracey says the difficulty comes back to a couple different things that are a part of human nature: Change and ambiguity. Part of the challenge is that a lot of people in the Talent Acquisition space are comfortable with the recruitment practices they’ve been using — the “post and pray” model. One of the reasons Tracey wanted to be a Rally Recruitment Marketing Mentor is because she believes in Rally’s mission and the need for a Recruitment Marketing network that welcomes candid industry conversation. We’re thrilled Tracey is here to join the conversation. 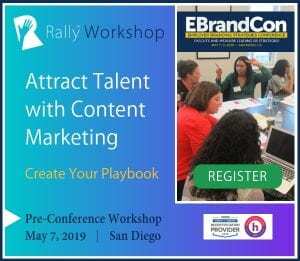 RallyFwd™ Virtual Conference – May 1, 2019 – Register Today!